I am a wildlife biologist interested in animal ecology and behavior, particularly in questions from these disciplines that are relevant to conservation efforts. To pursue these questions, I am involved in various research systems, but am especially passionate about carnivores. 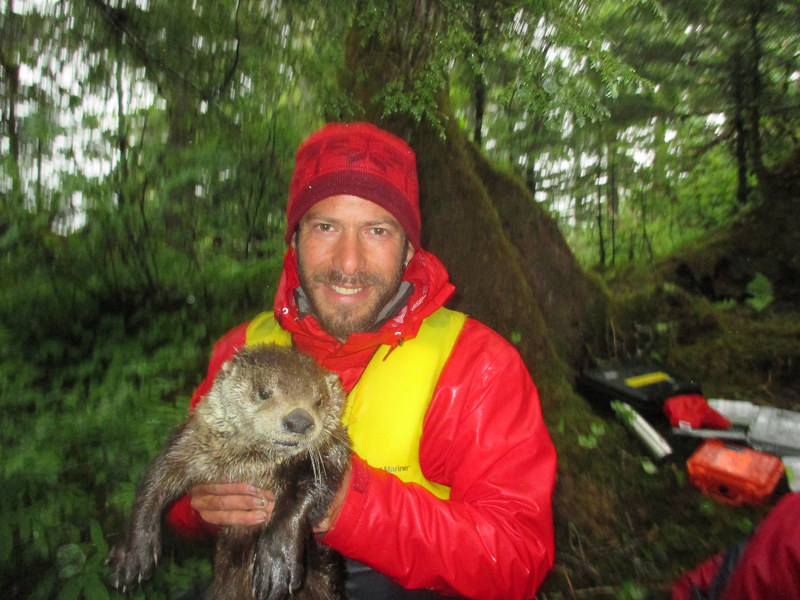 I have joined WildCru after finalizing my Ph.D. dissertation, on Alaska coastal river otters. My postdoctoral project, a collaboration between WildCru and the San Diego Zoo Institute for Conservation Research, focusses on another aquatic carnivore, the giant otter. I currently study giant otter populations in Peru’s Manu National Park, an important biodiversity hotspot, and its adjacent areas, which have recently been subject to significant threats from human activities, such as mining and deforestation. By including an educational component, this project is expected to contribute towards the involvement of local communities in the conservation of these pristine riverine Amazon ecosystems.